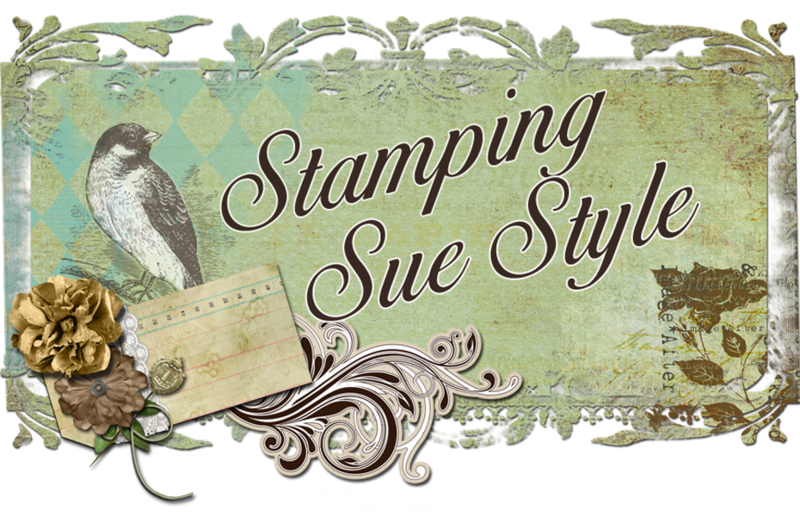 Stamping Sue Style: Stitch in Time ! I am counting the days until your step by step comes out! Your journal is GORGEOUS, and I can't wait to try my hand at the techniques you've used to create this beauty. You, Shelly, and Jenny are turning me over to the Funkie side. I'm telling Linda it's y'all's fault for being so amazing! 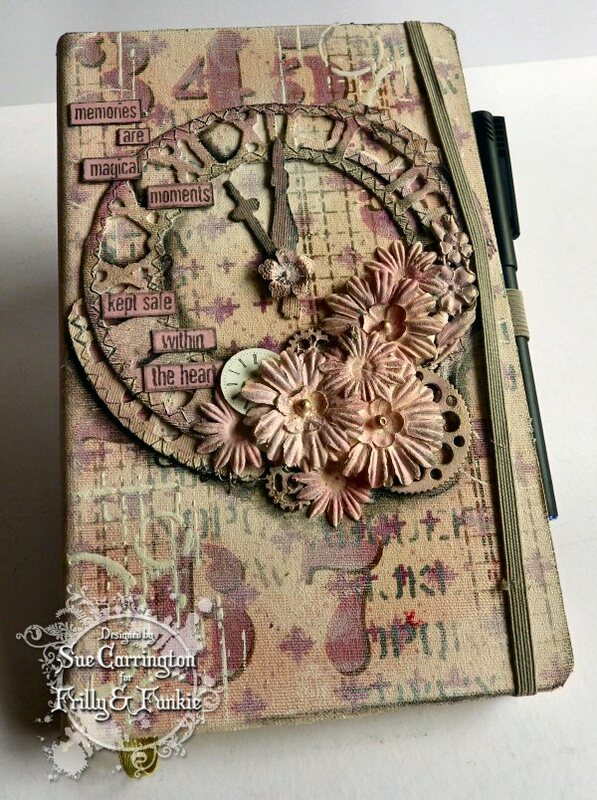 Sue your journal is just AMAZING .. !!! I love the way you embellished it. The TH clock always is a "HIT". And your flowers are so pretty. And you placed them a great way. 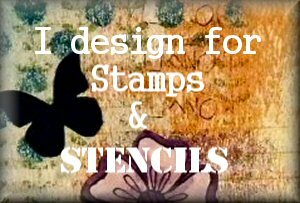 Your stencilling is lovely. 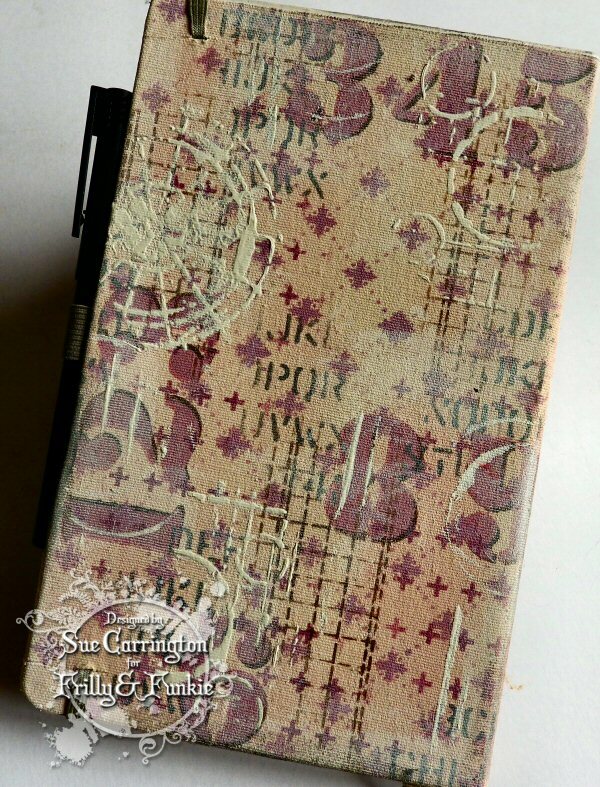 I felt very inspired by hearing you used the sticky canvas to cover the book. Now I look forward to see your tutorial on this. 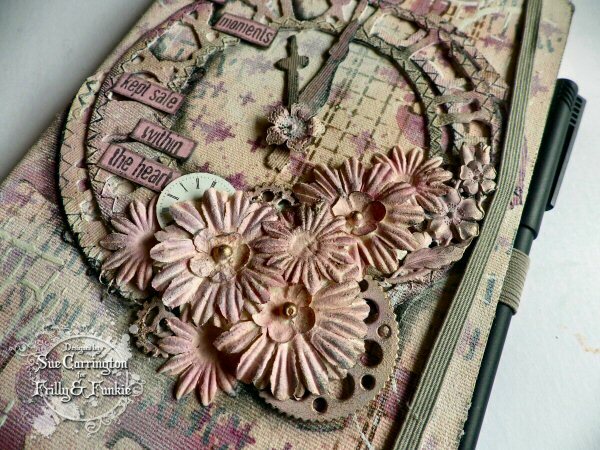 If you bend in the sides etc..
Oh so lovely - the canvas gives it such a soft rustic look, and I would say it's rose, not pink - a beautiful vintage rose palette. 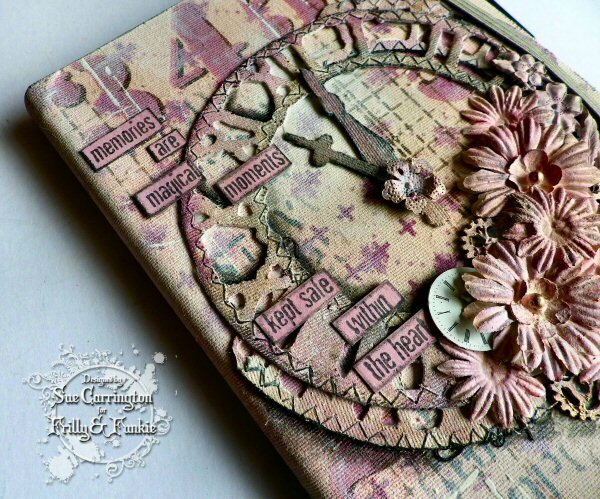 As Nikki says you've outdone yourself with the stencilling - simply amazing, and the whole thing is stunning! so pretty! it's a very cool color combo. I like it! Beautiful jounal cover, I love it! I haven't been getting your feed, darn it. This is gorgeous Sue! LOVE the clock, love the shabby vintage feel, and really love all the stenciling!